A forum of elders under the aegis of Akwa Ibom South (Eket) Senatorial District Strategic Leadership Forum yesterday said the governorship candidate of All Progressives Congress (APC), Mr. Nsima Ekere was the best choice for the state. The Chairman of the forum, Chief Edet Mkpubre made the remark at a news conference he addressed in Uyo, describing Ekere as a leader who had been tested in the crucibles of public administration and found fit and proper for service. Mkppubre, former National Deputy Chairman of the Peoples Democratic Party (PDP), commended the APC and its members for identifying Ekere as a leader from Akwa Ibom South Senatorial District to provide quality leadership for the state. According to him, the APC is strategic with flavour for throwing up Ekere as their governorship candidate, a choice that would heal the wounds of the four unproductive years of the Udom Emmanuel leadership era. 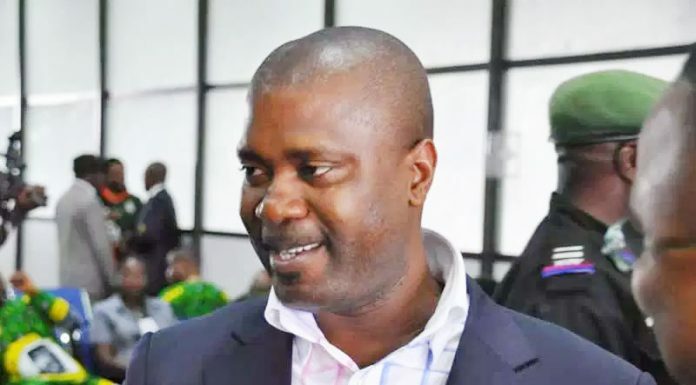 he said Ekereâ€™s blueprint that contains his five pillars of a new vision for the state â€œis so far the best by any candidate in the coming governor election in the state. We have read and digested the blueprint/manifestos of Ekere. â€œWe are thrilled by the forward-looking document that contains the five pillars of a new vision for our collective prosperity. Based on plans the APC governorship candidate has for the state, the leaders have decided to pitch tents with him (Obong Ekere) as the candidate they will vote for in general elections. â€œWe covenant with Ekere that while we shall canvass for votes and vote for him and elect him as governor come March 2. He shall replicate and surpass the leadership contributions of our leadership heroes of the past. â€œHe shall lead Akwa Ibom with the fear of God; give Akwa Ibom South Senatorial District its due development, with the full realization that the district lays the proverbial golden eggs of the financial prosperity of the state. â€œHe shall bring about a government that would build bridges of understanding, faith and unity among the peoples of Akwa Ibom State.â€ the group stated.